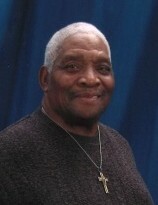 Obituary for Johnny Leamon Manning | Beach Funeral & Cremation Services, Inc.
Johnny L. Manning, 74, entered into eternal rest on March 23, 2019. He was born July 4, 1944 in Oak City, NC to Alberta Manning. He was educated in the North Carolina public school system and later moved to Virginia Beach, VA to better his life. When Johnny came to Virginia, he met the love of his life, Helen L. Manning and from their union they had three beautiful children. Johnny was a Mosquito Control technician for 35 years with the City of Virginia Beach. He loved watching westerns, cartoons and spending time with his family. Johnny was predeceased by one daughter, Olivia A. Manning; two brothers, Edward Manning and Benjamin Manning. Johnny is survived by, his wife of 45yrs, Helen L. Manning; daughters, Bea Gable (Joe), Helen K. Manning; grandchildren, Ta'myra Lane, Delora Manning, La'Trenda Lane, Denise Cherry, Trequad Manning, Daniel Moore, Trequan Manning, Daisean Moore, Quavon Manning; great grandchildren, Nasir Lane-Harden, My'rick Lane-Harris, Nauliseeya Lane, Nasean Mills, Nasjia Mills, Jeffery Parker, Olivia Cherry-Parker, Naasia Lane; siblings, Elbert Manning (Willie Mae), Pattie Manning, Delores Manning, Patricia Manning-Anderson (John); and a host of nieces, nephews, great nieces, great nephews; a host of friends far and near; also a host of grandkids from Bojangles.